You know when you start a book and it’s just terrible? And you try to decide whether it’s a Did Not Finish, or whether you’ll stick it out? I’m experiencing that with this book right now. First, though we rarely write reviews where we don’t recommend a book, I really can’t recommend this book UNLESS you really want a nice, New England-y story and you don’t care about the writing so much. From the beginning Neggers pushes anxiety, worry and fear. I had no idea why everyone was running around scared, why a private investigator was hired, why certain characters showed such contrived reluctance to be transparent. Then when I finally sorted it all out, I was still confused why Neggers made such a big deal out of some very little issues. Anyway, this book needs a rewrite. It could use streamlining, some re-organization, and some changes in how it begins. Big edits. 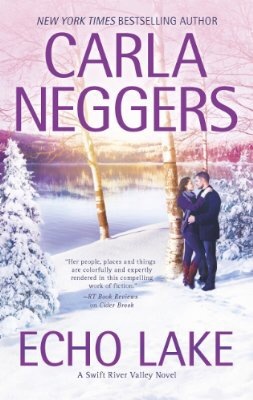 Like most of the Carla Neggers Swift River Valley novels, A Knights Bridge Christmas has beautiful descriptions of setting and a range of characters Neggers magically makes real. Even Daisy, now deceased, enamored me. Neggers hugs the reader with ice rinks and hot cocoa, mittens and hats, decorating a historical home for the holidays, and falling in love. A bit of unnatural dialogue and a too-trusting heroine took me out of the magic here and there. Some conversations were stilted and felt thrown in as an afterthought. And Clare just blindly agreeing to Logan’s suggestions seemed totally unrealistic. I’m always willing to overlook a few things for a holiday love story. This one includes a little mystery, a little adventure, and a happily ever after. I love the descriptions of the setting in this most recent Neggers’ Swift River Valley novel. Snowy paths, an icy lake, views of the woods from the old farmhouse. I felt like I was there! Wine by the fire, cheese from the local dairy… I live for this stuff. Neggers does such a great job making it authentic – and I live in New England so I can vouch for that! The problem with so many good plots is that the story as a whole seems unfocused. I prefer one main plot and one or two subplots… Echo Lake had five plots fighting each other for the spotlight. It was disconcerting. The alpha hero is the silent-est strong, silent type I’ve ever read, and his love interest is okay with that. The retiring diplomat is a little sappy. The house-sitter’s character isn’t quite clear to me! The five brothers are mostly in the background but well-written. The main character, Heather, is a strong young woman, can rock sequins as well as sweatshirts, and stands up to her family when needed. All in all I liked Echo Lake and will read the next in the series, but I’m hoping subsequent books are a bit more focused. I think 2014 was the first year I read anything by Carla Neggers, and I’ve become a fan. 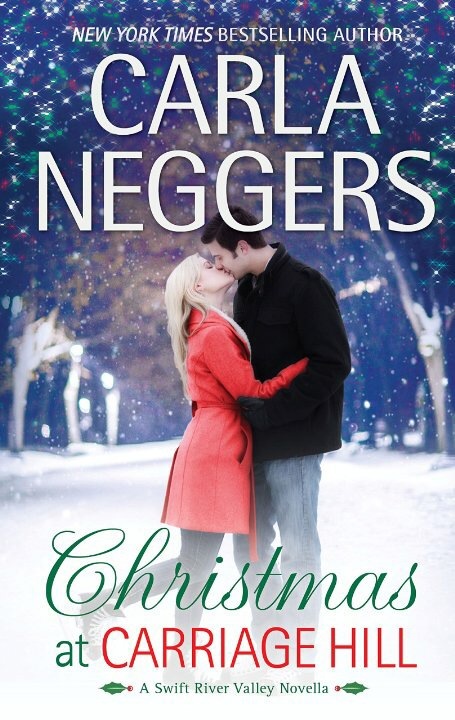 I was happy to see that Neggers wrote a Christmas novella, set in the part of Massachusetts where my mother grew up. Christmas at Carriage Hill is a contemporary romance with an old-fashioned feel. There’s an impending wedding, New England snow, ice skating, English scones, and a military man who won’t let go of his true love. Alex and Ian dated, broke up, then ran into each other while traveling abroad for a wedding. While the plot wasn’t thoroughly fleshed out and the secondary characters were a little flat, those are acceptable in a novella. I appreciated the great scenery, the main characters, the recipes, and the happily ever after. The power of nostalgia got to me, too, as I remember visiting the Quabbin as a child. I enjoyed this light, uplifting, Christmassy novella by a favorite author… and it’s a steal at 99¢. The history nerd in me loves anything to do with the Salem witch trials. The book lover in me loves historical fiction combined with a bit of fantasy. 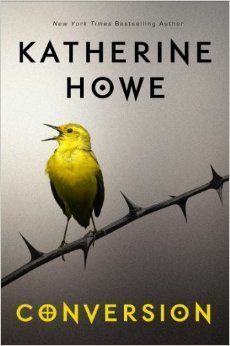 This latest book by Katherine Howe fits the bill on both ends. It’s the story of Colleen and her friends, seniors at a prestigious girls’ prep school. They’re already under immense pressure from AP courses, GPAs, and the college admission process. And then comes another level of stress as several of the girls become afflicted with some strange syndrome. Hair loss, twitching, rambling incohesive speech…it’s all there and nobody can seem to figure out what’s causing it. Is it environmental? Stress? Mental/emotional? Or is something more sinister at work? Part of the appeal of this book for me was how the author shifted back and forth between the present day story and the early 1700s during the actual Salem witch trial period. We’re given a glimpse into the hysteria of that era and encouraged to make a connection to the current story. This is a good story that kept me guessing as to what was really happening. An afterword by the author provides some insight into what inspired her to write this book. Grab this one for a great read, just in time for Halloween! 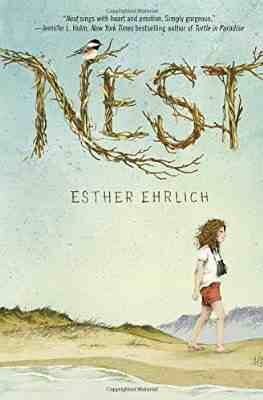 I generally don’t read children’s fiction, but I wanted to read Nest to get an idea of the usefulness of a book about children grieving. I can report with confidence this: I believe Nest would be helpful for 10-14 year olds with a mentally unstable or absent parent. They would see they are not alone, people grieve and cope in myriad ways, and anger is natural. Young readers could see that maintaining connections — family ties, friendships, or even looser relationships — help distract as well as move a person through his or her bucketful of emotions. Moving forward is key. That’s my opinion as a mother and a former schoolteacher. My emotional response to Nest was pretty much bawling my eyes out. A child without two loving parents just kills me… though I know it is so, so common. I felt for Chirp and her sister, for Chirp’s friends Dawn and Joey… Why did they have to suffer? Why did their lives have to be upended? Yet they found ways to cope. They found ways to hope. They found ways to stick together to fill up a little bit of what was missing. Nest is well-written, from the sentence structure to the easy flow to the authentic characters. The only niggling detail was about prayer: the author had Chirp uncomfortable saying grace before a meal, or saying the name Jesus. But I’m pretty sure Jewish people say grace (to G-d, not Jesus) and they believe Jesus existed, just that he wasn’t the Messiah. Besides that, Nest was wonderful. The 1970s were portrayed just as I remember them, without being contrived or hokey. And though the ending was sad, I finished the book with the thought that those children were going to make it. They had hope, they had strength, and they had each other. Well, I thought this was going to be an ordinary light romance, but it was EXTRAORDINARY! Ana is an undocumented immigrant from the Dominican Republic, but only because her visa ran out when she was a child and her mother passed away. Ethan is a well-loved local doctor (and widower) who needs a Spanish tutor for his teenage son. You can connect the dots that form the romance. But Serena Bell gives the reader even more of a story… the story of Ana’s family, their efforts, their fears, their love for one another. I cried my eyes out at Ana’s plight: trying to achieve and succeed while flying under the radar in a country that didn’t know she existed. Ana’s brother and sister were her whole world, and they sometimes had to give up personal wants and values for the good of the whole family. The other moms in the community were surprising but necessary characters. They tried to befriend Ana, help her, and make her feel better. But no rich white woman had been in her shoes. They didn’t feel the fear of getting caught that Ana lived with daily. They were awkward and ignorant, even if they meant well. I absolutely enjoyed the love story in Yours to Keep. Ana and Ethan overcame personal challenges and came to a meeting of the hearts and minds. What really pulled at my heart strings though was Ana’s illegal immigrant status and her determination to succeed despite it. The adorable-but-typical teenager was a heart-tugger, too. And watching his talented dad (He cooks! He cleans! He saves lives!) fall in love was very romantic.